Get Dream Theater essential facts below. 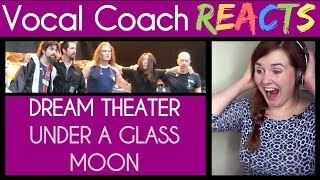 View Videos or join the Dream Theater discussion. Add Dream Theater to your PopFlock.com topic list for future reference or share this resource on social media. Dream Theater in 2011. From left to right: John Myung, Jordan Rudess, James LaBrie, Mike Mangini and John Petrucci. Dream Theater is an American progressive metal band formed in 1985 under the name Majesty by John Petrucci, John Myung and Mike Portnoy while they attended Berklee College of Music in Boston, Massachusetts. They subsequently dropped out of their studies to concentrate further on the band that would ultimately become Dream Theater. 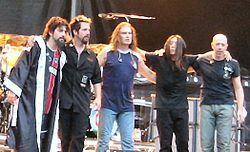 Though a number of lineup changes followed, the three original members remained together along with James LaBrie and Jordan Rudess until September 8, 2010, when Portnoy left the band. In October 2010, the band held auditions for a drummer to replace Portnoy. Mike Mangini was announced as the new permanent drummer on April 29, 2011. The band's highest-selling album is the gold-selling Images and Words (1992), which reached No. 61 on the Billboard 200 chart. Both the 1994 release Awake and their 2002 release Six Degrees of Inner Turbulence also entered the charts at No. 32 and No. 46 respectively and received mostly positive reviews. Metropolis Pt. 2: Scenes from a Memory was ranked number 95 on the October 2006 issue of Guitar World magazine's list of The greatest 100 guitar albums of all time. It is ranked as the 15th Greatest Concept Album (as of March 2003) by Classic Rock Magazine. The band's eleventh studio album, A Dramatic Turn of Events, was released on September 13, 2011. On November 30, 2011, the album's lead single, "On the Backs of Angels", was nominated for a Grammy Award in the "Best Hard Rock/Metal Performance" category, marking the band's first ever Grammy nomination. Dream Theater's self-titled twelfth studio album was released on September 23, 2013 and earned their second Grammy Award nomination, this time for "Best Metal Performance", for the album's first single, "The Enemy Inside". On April 9, 2013, Images and Words won Loudwire's fan voted March Metal Madness for world's best metal album beating albums by Dio, AC/DC, Judas Priest, Megadeth and Metallica. As of 2011, Dream Theater has sold over 12 million records worldwide. Dream Theater was formed in Massachusetts in 1985 when guitarist John Petrucci, bassist John Myung, and drummer Mike Portnoy decided to form a band while attending the Berklee College of Music. The trio started by covering Rush and Iron Maiden songs in the rehearsal rooms at Berklee. Myung, Petrucci, and Portnoy joined together on the name Majesty for their newly formed group. According to The Score So Far... documentary, they were waiting in line for tickets to a Rush concert at the Berklee Performance Center while listening to the band on a boom box. Portnoy commented that the ending of the song "Bastille Day" (from the album Caress of Steel) sounded "majestic". It was then decided that Majesty would be the band's name. The trio then set out to fill the remaining positions in the group. Petrucci asked his high school bandmate Kevin Moore to play the keyboard. After he accepted the position, another friend from home, Chris Collins, was recruited as lead vocalist after band members heard him sing a cover of "Queen of the Reich" by Queensrche. During this time, Portnoy, Petrucci, and Myung's hectic schedules forced them to abandon their studies to concentrate on their music, as they did not feel they could learn more in college. Moore also left his college, SUNY Fredonia, to concentrate on the band. "Another Won" from The Majesty Demos. The beginning months of 1986 were filled with various concert dates in and around the New York City area. During this time, the band recorded a collection of demos, titled The Majesty Demos. The initial run of 1,000 sold out within six months, and dubbed copies of the cassette became popular within the progressive metal scene. The Majesty Demos are still available in their original tape format today, despite being released officially on CD, through Mike Portnoy's YtseJam Records. In November 1986, after a few months of writing and performing together, Chris Collins was fired. After a year of trying to find a replacement, Charlie Dominici, who was far older and more experienced than anyone else in the band, successfully auditioned for the group. With the stability that Dominici's appointment brought to Majesty, they began to increase the number of shows played in the New York City area, gaining a considerable amount of exposure. Shortly after hiring Dominici, a Las Vegas group also named Majesty threatened legal action for intellectual property infringement related to the use of their name, so the band was forced to adopt a new moniker. Various possibilities were proposed and tested, among them Glasser, Magus, and M1, which were all rejected, though the band did go as Glasser for about a week, with poor reactions from fans. Eventually, Portnoy's father suggested the name Dream Theater, the name of a small theater in Monterey, California, and the name stuck. With their new name and band stability, Dream Theater concentrated on writing more material while playing more concerts in New York and in neighboring states. This eventually attracted the attention of Mechanic Records, a division of MCA. Dream Theater signed their first record contract with Mechanic on June 23, 1988 and set out to record their debut album. The band recorded the album at Kajem Victory Studios in Gladwyne, Pennsylvania. Recording the basic tracks took about 10 days, and the entire album was completed in about 3 weeks. When Dream and Day Unite was released in 1989 to far less fanfare than the band had anticipated. Mechanic ended up breaking the majority of the financial promises they had made to Dream Theater prior to signing their contract, so the band was restricted to playing around New York City. The promotional tour for the album consisted of just five concerts, all of which were relatively local. Their first show was at Sundance in Bay Shore, New York opening for the classic rock power trio Zebra. After the fourth show, Charlie Dominici was let go because the band was starting to feel the limitations of his voice based upon the vocal style they wanted. The band was looking for a singer with a style more like Bruce Dickinson or Geoff Tate, and Dominici's stage presence was not what they wanted for a front man. Shortly after, however, the band Marillion asked Dream Theater to open for them at a gig at the Ritz in New York, so Dominici was given the opportunity to perform one last time. It would be another two years before Dream Theater had a replacement vocalist. "Pull Me Under" from Images and Words. 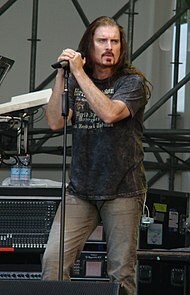 James LaBrie joined the band in January 1991 and has been their vocalist ever since. Following Dominici's departure, Dream Theater fought successfully to be released from their contract with Mechanic, and set about auditioning singers and writing material for their next album. In their search for a new singer, they auditioned over 200 people, among them former Fates Warning front man John Arch. John ultimately decided that his personal commitments were more important and he opted not to join the band. On June 9, 1990, at a gig at Sundance in Bayshore, New York, Dream Theater introduced Steve Stone as their new singer. Stone had successfully recorded demos with Dream Theater, but he was fired following a single, ill-fated live performance. According to Mike Portnoy, Stone moved around the stage in a rather odd manner, seemingly doing a bad impression of Bruce Dickinson. Additionally, he shouted "Scream for me Long Beach!" several times throughout the show (Dickinson can be heard saying this on Iron Maiden's live album Live After Death), although they were actually performing in Bayshore. It was five months before Dream Theater played another show, this time all-instrumental (under the name YtseJam). Until 1991, the band remained focused in an attempt to hire another singer and writing additional music. It was during this period that they wrote the majority of what would become Images and Words (1992). In January 1991, the band received a demo tape from Kevin James LaBrie, of glam metal band Winter Rose. The band had received the tape just before they were about to commit to another singer. The band was so impressed by his demo that he was flown from Canada to New York for an audition. LaBrie jammed on three songs with the band, and was immediately hired to fill the vocalist position. Once recruited, LaBrie decided to drop his first name to avoid confusion with the other Kevin in the band. For the next few months, the band returned to playing live shows (still mostly around NYC), while working on vocal parts for the music written before acquiring LaBrie. Derek Shulman and Atco Records (now East West), a division of Elektra Records, signed Dream Theater to a seven-album contract based on a three-song demo (later made available as "The Atco Demos" through the Dream Theater fan club). The first album to be recorded under their new record contract was Images and Words (1992). For promotion, the label released a CD Single and video clip for the song "Another Day", but neither made significant commercial impact. The song "Pull Me Under", however, managed to garner a high level of radio airplay without any organized promotion from the band or their label. In response, ATCO produced a video clip for "Pull Me Under", which saw heavy rotation on MTV. A third video clip was produced for "Take the Time", but it was not nearly as successful as "Pull Me Under". The success of "Pull Me Under", combined with relentless touring throughout the U.S. and Japan, caused Images and Words to achieve gold record certification in the States and platinum status in Japan. A tour of Europe followed in 1993, which included a show at London's famed Marquee Club. The show was recorded and released as Live at the Marquee, Dream Theater's first official live album. Additionally, a video compilation of their Japanese concerts (mixed in with documentary-style footage of the off-stage portion of the tour) was released as Images and Words: Live in Tokyo. "A Mind Beside Itself: II - Voices"
Eager to work on fresh material, Dream Theater retreated to the studio in May 1994. Awake, Dream Theater's third studio album, was released on October 4, 1994 amidst a storm of fan controversy. Shortly before the album was mixed, Moore had announced to the rest of the band that he would be quitting Dream Theater to concentrate on his own musical interests, since he was no longer interested in touring or the style of music which Dream Theater performed. As a result, the band had to scramble to find a replacement keyboardist before a tour could be considered. Former Yngwie Malmsteen/Dio keyboardist Jens Johansson, who would go on to become a member of Stratovarius, was among the biggest names to audition, but the band members were eager to fill the position with keyboardist Jordan Rudess. Portnoy and Petrucci had come across Rudess in Keyboard Magazine, where he was recognized as "best new talent" in the readers' poll. The two invited him to play a trial gig with the band at the Concrete Foundations Forum in Burbank, California. Although the show was a success, and Rudess was asked to fill the keyboardist position permanently, he opted to tour with The Dixie Dregs instead, since it granted him more personal latitude. Dream Theater hired fellow Berklee alumnus Derek Sherinian, who had previously toured and recorded with Alice Cooper and KISS, to fill in for the Waking Up the World Tour. By the conclusion of the tour, the band decided to take Sherinian on as Moore's full-time replacement. "Carpe Diem/The Darkest of Winters" bridge from A Change of Seasons. Once again finding themselves with a new member, the band did not immediately start working on new material. 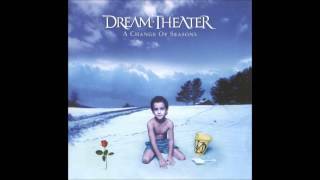 Fans around the world, united on the YtseJam Mailing List (the most popular form of communication between Dream Theater fans at that point), had begun to put pressure on the band to officially release the song "A Change of Seasons". This had been written in 1989 and was intended to be a part of Images and Words, but at almost 17 minutes, it was deemed too long for studio placement. It had nevertheless been performed live by the band, who continued to revise it in the years leading up to 1995. The petition was successful, and the group entered BearTracks Studios in New York in May 1995 to rewrite and record the now 23-minute-long song with Sherinian contributing significantly to the final product. The band released "A Change of Seasons" as an EP along with a collection of cover songs from a live show recorded at Ronnie Scott's Jazz Club in London earlier that year. After a brief run of small concerts and a short break, the band released a special Christmas CD through their official fan club, consisting of rare live tracks recorded during the band's early years. They continued releasing a new CD each Christmas until 2005. Meanwhile, there were several changes at East West, and Dream Theater's main contact within the label was fired. As a result, the new team at the company were unaccustomed to the relationship Dream Theater had with former East West personnel, and they pressured them to write an album that was more accessible. In mid-1997, they entered the studio to write their next album. In addition to pressuring the band to adopt a more mainstream sound, East West recruited writer/producer Desmond Child to work with Petrucci on polishing the lyrics to his song "You or Me". The whole band substantially reworked the song, and it appeared on the album as "You Not Me" with a chorus that bore little resemblance to the original. Child also had a noticeable impact on the album, with a shift towards less complex and more radio-friendly compositions. The band wrote almost two CDs worth of material, including a 20-minute-long follow-up to the Images and Words song "Metropolis-Part I: The Miracle and the Sleeper". The label, however, did not allow the release of a double album because it felt that a 140-minute record would not be well received by the general public. James LaBrie also felt that the CD should be a single disc. The unused songs were later released in the Ytsejam Records release The Falling Into Infinity Demos. The material that made it onto the album proper was released as Falling Into Infinity, which received a mixed reception from fans who were more familiar with the band's earlier sound. While the album was moderately progressive-sounding, tracks such as "Hollow Years" and "You Not Me" prompted some to believe it was the dawn of a new, mainstream-sounding Dream Theater. Overall, the album was both a critical and commercial disappointment. Although Portnoy did not speak out publicly at the time, he later revealed in the 2004 DVD commentary for 5 Years in a Livetime, that he had been so discouraged during this period that he had considered disbanding Dream Theater altogether. During the European leg of the Touring Into Infinity world tour, two shows were recorded for a live album entitled Once in a LIVEtime, in France and The Netherlands. The album was released at around the same time as the video 5 Years in a Livetime, which covered the years from Kevin Moore's departure to the Falling Into Infinity promotional tour. In 1997, Magna Carta Records' Mike Varney invited Portnoy to assemble a progressive 'supergroup' to work on an album, which would become the first in a long string of side-projects for the members of Dream Theater. 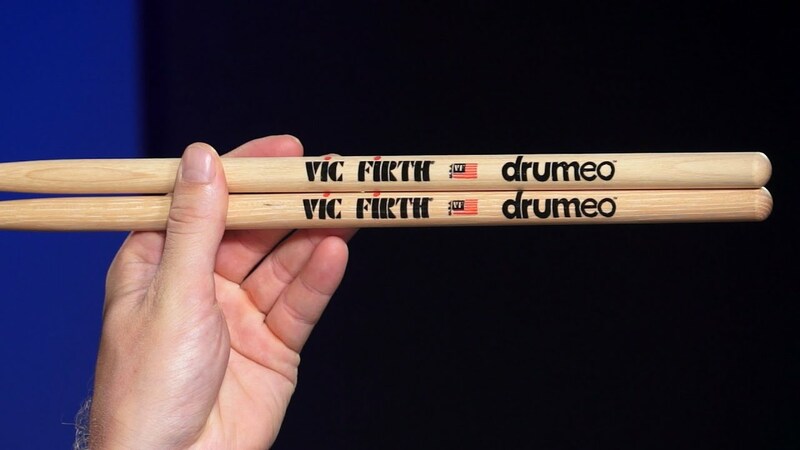 The lineup consisted of Portnoy on drums, Petrucci on guitar, Tony Levin on bass, and keyboardist Jordan Rudess, who had finished with the Dixie Dregs. The band assumed the name Liquid Tension Experiment, and would act as a medium through which Portnoy and Petrucci could once again court Rudess to join Dream Theater. In 1999, he accepted an offer to become the third full-time Dream Theater keyboardist, replacing Sherinian. With yet another new member, Dream Theater entered BearTracks Studio once again to write and record their next album. As a result of an ultimatum from Portnoy, the label gave the band complete creative control. The band began by revisiting the follow-up to "Metropolis-Part I", which had been partially written during the Falling Into Infinity sessions but which had not been completed or used on that album. They decided to expand the 21-minute song into a complete concept album, with a story revolving around themes such as reincarnation, murder and betrayal. To avoid stirring up the fan base, a tight veil of secrecy enveloped the writing and recording process. The only things fans were privy to prior to its release were a track list that had been leaked against the band's wishes, and a release date. In 1999, Metropolis Pt. 2: Scenes from a Memory was released to high critical acclaim, being lauded as the band's masterpiece, despite only reaching No. 73 on the US album chart. The album was mixed by David Bottrill, but only a few of his mixes made it on the final album. The bulk was remixed by Kevin Shirley, who had produced their previous album, Falling into Infinity. The rest of the mixes can be heard in the band's official bootleg The Making of Scenes from a Memory. The subsequent Metropolis 2000 world tour was by far their largest to date, and took over a year to complete. The concerts reflected the theatrical aspect of the album, with the first half of each show comprising the entire Scenes From a Memory album accompanied by a film showing dramatized portions of the story projected onto a video screen behind the stage. For the last date of the North American leg, at the Roseland Ballroom in New York City, actors were hired to play characters in the story, and a gospel choir was enlisted to perform in some sections of the performance. The show was filmed and eventually released in early 2001 as the band's first DVD release, Metropolis 2000: Scenes from New York, which was certified Gold in the US on November 8, 2002. Since several songs from the second half of the four-hour show had to be cut from the DVD to save space, the band also released the full show on the live CD Live Scenes from New York. The original cover depicted one of Dream Theater's early logos (the Images and Words-era burning heart, modeled on the Sacred Heart of Christ) modified to show an apple (as in "Big Apple") instead of the heart, and the New York skyline, including the twin towers of the World Trade Center, in the flame above it. In an unfortunate coincidence, the album was released on the same date as the September 11 attacks. The album was quickly recalled by the band and was re-released with revised artwork later, although the few copies which were sold with the original artwork have since become rare collector's items. Part one of the eight parts that constitute "Six Degrees of Inner Turbulence". 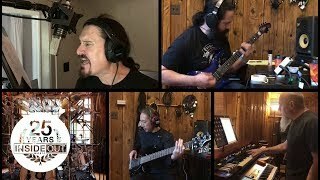 Putting the whole ordeal behind them, Dream Theater once again entered BearTracks Studios to record their sixth studio album. Four years after they first petitioned East West to allow them to release a double album, they finally got their chance with Six Degrees of Inner Turbulence. The first disc consisted of five tracks of 7-13 minutes in length, and the second disc was devoted entirely to the 42-minute title track, which remains to date the longest song Dream Theater has written. 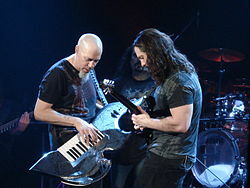 Many of the song's melodies and musical themes originated in an instrumental piece, written by Rudess, which would eventually become the song's "Overture". Those themes were then expanded by the rest of the band to form individual chapters in a complete story. Six Degrees of Inner Turbulence was very well received by critics and the press. It was the most publicized of Dream Theater's albums since Awake, debuting on the Billboard charts at No. 46 and the Billboard Internet charts at No. 1. The subsequent world tour included a select few special "album cover" gigs (see Cover songs section, below), in which they played Metallica's Master of Puppets and Iron Maiden's The Number of the Beast in their entirety. In 2003, Dream Theater entered the studio to write and record another album. Unlike Scenes from a Memory, which had been written and recorded simultaneously in the studio, the band took a different approach by setting aside three weeks for writing prior to recording. In the middle of the recording sessions for the album, a special tour with two other progressive metal bands, Queensrche and Fates Warning, was undertaken in North America. Referred to in the band's promotional material as the "Escape from the Studio American tour", the tour featured Queensrche and Dream Theater as co-headlining acts with Fates Warning performing supporting act duties. As a finale for each concert there was an extended encore in which both Dream Theater and Queensrche performed together on stage simultaneously, often playing cover songs. At the completion of the tour, Dream Theater returned to the studio to finish the recording of their seventh album, Train of Thought. In contrast to the extended songs of their previous album, the band aimed to write a more song-oriented album, inspired in part by covering the Master of Puppets and Number of the Beast albums on their previous concert tour. Although the album was a critical success, its more straightforward metal sound alienated many of the band's existing fans, who had been attracted by the band's roots in progressive rock. During this time they also re-released their first two live videos for the first time on DVD, entitled "Images and Words: Live in Tokyo/5 Years in a Livetime" on June 29, 2004, through Rhino Records. This release was certified Platinum on March 22, 2006. Another world tour followed, named Train of Thought Tour. A modest North American tour was completed by the two bands, which Dream Theater supported Yes, a band which had been a major influence on their own musical style. After which Dream Theater continued to tour the world with their so-called "An Evening With Dream Theater" shows. The latter were captured in another live CD/DVD release, recorded at the famous Nippon Budokan Hall in Tokyo, Japan on their Train of Thought Tour. Live at Budokan was released on October 5, 2004, and was certified Platinum in the US on January 26, 2005. After their Train of Thought promotional tour, Dream Theater entered the Hit Factory studios in NYC to record their eighth album. They would in fact become the final group to use the famous studio, which closed on April 1, 2005. Octavarium was released on June 7, 2005, and took the band's sound in yet another new direction. Its eight songs included a continuation of Portnoy's "Twelve-step" saga ("The Root of All Evil", steps 6-7 in the 12-step plan), as well as the title track, a musically versatile 24 minute epic rivaling "A Change of Seasons". Octavarium received mixed reviews from fans and has been the subject of spirited debate. Octavarium was the last album under their seven-album deal with Elektra Records, which had inherited the contract upon its absorption of EastWest Records. Dream Theater started the Octavarium Tour extensively throughout 2005 and 2006 to celebrate their 20th Anniversary as a band, including a headlining spot on Gigantour alongside Megadeth and put together by frontman Dave Mustaine, also featuring Fear Factory, Nevermore and Symphony X. During a show on August 2, 2005 in Dallas, the band paid tribute to Pantera's late guitarist Dimebag Darrell by performing the song "Cemetery Gates" as an encore. In addition was the unexpected appearance of fellow musicians Russell Allen (Symphony X vocalist), Burton C. Bell (Fear Factory vocalist) and Dave Mustaine (Megadeth vocalist/guitarist), who joined the band on stage to perform parts of the song. Dream Theater later departed from Gigantour 2005 a few dates before it ended and continued on with their own series of concerts, several of which were recorded and released for the band's fanclubs. The 20th anniversary tour concluded with a show at Radio City Music Hall in New York City on April 1, 2006. Though the show had minimal promotion, it was sold out days after tickets were made available. This show, which was recorded for a CD/DVD called Score released on August 29, 2006 through Rhino Records, featured songs from the band's entire history, as well a second half accompanied by a full symphony orchestra (the "Octavarium Orchestra"). This release was the band's third Live DVD release to be certified Platinum in the US on October 11, 2006. For the first time in their career, the band decided to take the summer off after their show at Radio City Music Hall. In September 2006, Dream Theater entered Avatar Studios to record their follow-up to Octavarium with legendary studio engineer Paul Northfield. Dream Theater's ninth studio album, Systematic Chaos, was released on June 5, 2007. The record marked their first with new label Roadrunner Records, which in 2010 would become a wholly owned subsidiary of the band's previous label Atlantic Records. Roadrunner implemented increased promotion for the album and Systematic Chaos duly reached number 19 on the Billboard 200. It also oversaw the release of a video for "Constant Motion" on July 14, the band's first music video since Hollow Years in 1997. The album was bookended by the two parts of "In the Presence of Enemies", an epic duology written and conceived as a single piece but split into two halves for the purposes of the album. The other six tracks included the most recent part of Portnoy's continuing AA Saga with the song "Repentance". In the same year, the first version of Rich Wilson's Lifting Shadows, an authorized history of the band's first twenty years, was released. The 2007-08 Chaos in Motion Tour started off in Italy. Dream Theater played in the Gods of Metal concert on June 3, 2007., as well as various other European festivals including the Netherlands' Fields of Rock Festival, UK's Download Festival, the French festival Hellfest Summer Open Air alongside Megadeth, Korn, Mastodon and Slayer. The North American leg of the tour began on July 24 in San Diego, California and wrapped up on August 26 in Philadelphia, Pennsylvania. They played with opening acts Redemption and Into Eternity. The Chaos In Motion Tour continued for the rest of the year and into 2008, playing shows in Asia, South America and, for the first time, Australia. On April 1, 2008, a two-disc compilation album entitled Greatest Hit (...and 21 Other Pretty Cool Songs) was released by the band. The title jokingly references the song "Pull Me Under", the band's only significant radio hit. It also includes three song re-mixes from their second album, Images and Words, five edited versions of previously released songs, and a track from a single B-side. Unlike most greatest hits compilations, Dream Theater was actively involved with the album, coming up with the track listing that they felt best represented their musical careers. After the release of Greatest Hit, drummer Mike Portnoy organized a new tour called Progressive Nation 2008. 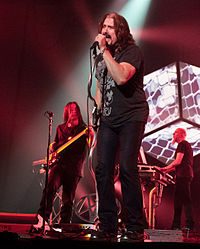 Unlike previous Dream Theater tours, performances were held in cities that they had not visited before in the past (such as Vancouver, British Columbia, Canada) or cities they had not played in for several years. This tour also marked the first time, since the release of Images and Words, where the group performed in small venues and performance halls. In September 2008, the band released a DVD set called Chaos in Motion 2007-2008, featuring songs recorded at several shows during the Chaos in Motion tour. On October 7, 2008, Dream Theater returned to Avatar Studios to begin work on their tenth album, resuming their relationship with Paul Northfield to engineer and mix the record. The album, entitled Black Clouds & Silver Linings, was released on June 23, 2009. In addition to the standard CD, the album was made available on vinyl LP, as well as a 3-disc Special Edition CD that includes the full album, a CD of instrumental mixes of the album and a CD of six cover songs from artists such as Queen and Rainbow. On July 1, 2009, the album debuted at No. 6 on Billboard's Top 200 album chart, with first week sales totalling 40,285, making their highest entry on the chart. The album featured "The Shattered Fortress", the last in Mike Portnoy's series of songs about his 12-step recovery from alcoholism, as well as the song "The Best of Times", described by Portnoy as "a real heavy personal subject about my dad who passed away during the making of the album ... He was battling cancer throughout its making." The band also embarked on a second Progressive Nation tour, including the tour's first performances in Europe. Opeth, Unexpect and Bigelf supported Dream Theater in Europe, while Zappa Plays Zappa, Pain Of Salvation, and Beardfish were slated to perform on the North American leg. However, Pain of Salvation and Beardfish were unable to tour with Dream Theater and Zappa Plays Zappa because of financial troubles within their respective record labels. The two new bands that filled the vacated slots for the Progressive Nation 2009 tour in North America were Bigelf and Scale the Summit with Bigelf performing on both European and North American legs. 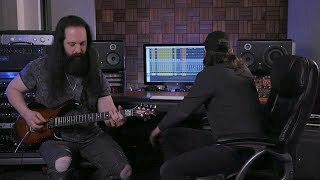 After the Progressive Nation Tour, Dream Theater re-entered the studio to write and record a brand new instrumental track for inclusion on the God of War III soundtrack EP God of War: Blood & Metal. The track, entitled "Raw Dog" (God (of) War reversed), marked the first time that the band has written and recorded an exclusive track for an outside project. "Raw Dog" includes the first ever commercially recorded harpejji track, performed by Jordan Rudess, as well as Dream Theater's final recorded performance with Mike Portnoy on drums. In December 2009, during their Black Clouds & Silver Linings tour whilst visiting Australia, Dream Theater appeared with one support act, Pain of Salvation. In March 2010, they toured South America with Bigelf. Afterwards, during the summer of 2010, Dream Theater supported Iron Maiden on the US and Canadian legs of their summer tour which were the last shows DT played during 2010. Mike Portnoy announced that he would be leaving Dream Theater on September 8, 2010. On September 8, 2010, Mike Portnoy announced that he would be leaving Dream Theater, citing better relationships in other projects, burnout, and his desire for a break as reasons. Elaborating on the situation for MusicRadar, John Petrucci revealed that originally, Portnoy did not want to leave the band; he only wanted to take a five-year break. He eventually dropped this number to around one year. Only after the rest of the band rejected his proposal did Portnoy decide to quit. After Portnoy left Dream Theater, relationships between him and his former bandmates became strained. In February 2011, Portnoy complained that no one from the band was returning his calls and e-mails. However, later Portnoy commented that both Petrucci and Rudess were the only members that stayed in touch with him. 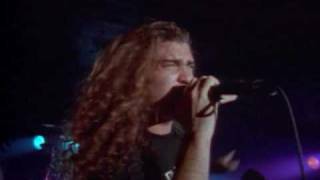 Tensions became especially high when Portnoy called James LaBrie "disrespectful" for comments LaBrie made during an interview, stating that Dream Theater were "not sad at all" that Portnoy was no longer a band member. As of July 12, 2011, LaBrie has not remained in touch with Portnoy. At one point, false reports surfaced that Portnoy had sued Dream Theater. Portnoy has since stated that he would rejoin the band in a heartbeat, stating: "They are the ones that have closed the door on it. I've only needed a break, and I've had that break. So I'm ready, willing and able. But I honestly don't think they ever will; they've closed their door on it and I think they're too headstrong in having to prove themselves without me. So I wouldn't count on it. But my door is always open." A little more than a month after Portnoy's departure, Dream Theater began auditioning for a new drummer in New York City. 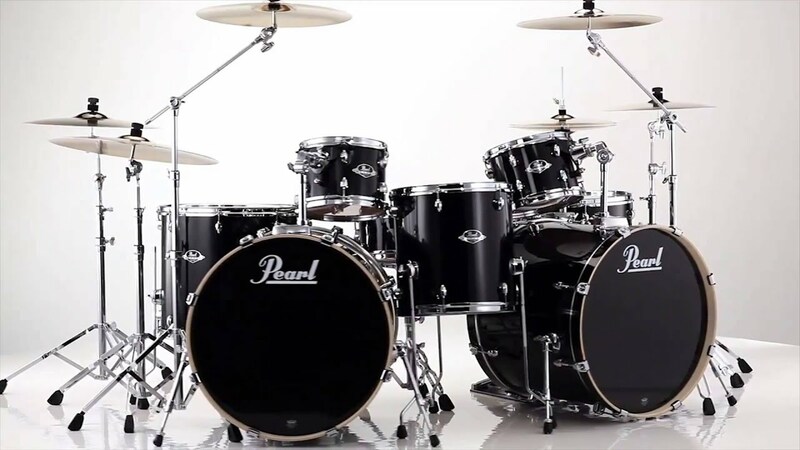 The drummers invited to audition were Mike Mangini, Derek Roddy, Thomas Lang, Virgil Donati, Marco Minnemann, Aquiles Priester, and Peter Wildoer. The candidates were notified whether they had been chosen on November 5; however, the results of the audition were not made public until April 2011 via a three-part YouTube documentary series called The Spirit Carries On. In the last episode of the series, it was revealed that Mangini was the drummer selected. 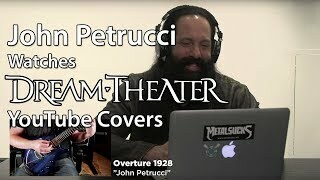 Petrucci later explained that Portnoy approached them to rejoin after they had selected Mangini; Mangini by this time had left his job as a professor at Berklee and committed to Dream Theater full-time, so Portnoy's offer was re-buffed. Dream Theater entered Cove City Sound Studios to begin working on a new album on January 3, 2011. Writing was completed on March 2 and done without Mangini. On April 14, LaBrie began tracking vocals and by June 28, the album's mixing and mastering by Andy Wallace were finished. Released worldwide on September 12 and in the United States on September 13, A Dramatic Turn of Events debuted at number one in some countries and attained the eighth position on the Billboard 200, the band's second ever top ten debut position on that chart after Black Clouds & Silver Linings. Although the album received mixed reviews, it won numerous awards from music publications and its lead single, "On the Backs of Angels", was nominated for Best Hard Rock/Metal Performance at the 2012 Grammy Awards, representing the band's first ever Grammy nomination. Dream Theater kicked off their tour in support of A Dramatic Turn of Events on July 4, 2011 in Rome, Italy. The second leg of the tour took place in North America, where the band headlined with Trivium. After a short break to conclude 2011, the band returned to Europe with Periphery, to Asia with Andy McKee, to North America with Crimson Projekct and then to South America for the final leg of the tour. On August 19 and 20, two shows were recorded at Luna Park in Buenos Aires, Argentina for a live Blu-ray release by Over the Edge Productions. After a six-month delay, Live at Luna Park was released on November 5, 2013, by Eagle Rock Entertainment. The tour concluded on September 1, 2012, in Braslia, Brazil. On December 25, 2013, at 06:00:00 EST, as a holiday gift to the fans, Dream Theater released a free electronic 2-CD set of live tracks that were not recorded for Live at Luna Park from their 2011-2012 tour in FLAC format via BitTorrent. The release date and time are an allusion to their 1994 song 6:00, the intro of which contains a repeated sample of the line "Six o'clock on a Christmas morning" as spoken by Helena Carroll in The Dead. Dream Theater's July 19, 2012 cover performance of King Crimson's 21st Century Schizoid Man with Crimson Projekct is notably omitted from this release due to copyright concerns. Writing for Dream Theater's twelfth studio album commenced on A Dramatic Tour of Events. During soundchecks, the band would jam and record their ideas, and John Petrucci would bring in material he wrote independently. Following the conclusion of the tour, the band took a break but continued writing. They reconvened in early 2013 to enter the studio. In December 2012, Dream Theater re-signed with Roadrunner Records. The band's self-titled twelfth album was released on September 23, 2013 as part of the new agreement with Roadrunner. The album sold more than 34,000 copies in its first week and landed on the Billboard 200 chart at No. 7, the band's third consecutive top 10 album. In addition, the album cracked the top 10 in 24 countries including Japan, Germany, Argentina, The Netherlands, Finland, Italy, Switzerland, Canada, Denmark, Norway, Austria, Australia and United Kingdom. Dream Theater's seventh live album, Live at Luna Park, was released on November 5, 2013. On July 8, 2014, Dream Theater released The Studio Albums 1992-2011, a box set spanning all albums from Images and Words to A Dramatic Turn of Events. On September 30, 2014, Dream Theater released their eighth live album and film, Breaking the Fourth Wall, which was recorded live from The Boston Opera House on March 25, 2014. During this concert, the band were joined by the Berklee World Strings and the Berklee Concert Choir, directed by Eren Ba?bu?, for the second half of the set. The set list for the tour featured the entire second half of Awake, in celebration of the album's 20th anniversary, including the song "Space-Dye Vest", which had never been performed live. The set list closed with a performance of four songs from Metropolis Pt. 2: Scenes from a Memory, in celebration of the album's 15th anniversary. The Along for the Ride Tour concluded on October 30, 2014. On January 6, 2014, John Petrucci said that Dream Theater were already "planting seeds for album No. 13". He commented: "There are some song ideas and little things like that -- nothing really official, but the seeds just start to get planted. One of the great things about this career is that you have the opportunity every time to go in and start again with a blank slate and think, 'What can we do differently? How can we make this better? Where can we go from here?' Every album has a story, and to constantly have a fresh opportunity to do it is really satisfying." The band headed into the studio in February 2015 to record its thirteenth album. The album, titled The Astonishing was released on January 29, 2016. It is a concept album set in a dystopian future society devoid of real music, centering on a conflict between a group of rebels and an oppressive empire. Two singles, "The Gift of Music" and "Moment of Betrayal" were released on December 3, 2015 and January 22, 2016, respectively. Throughout 2016, Dream Theater went on a tour titled The Astonishing Live to support the album. They played the album in its entirety, with an intermission between the two acts, only playing songs from earlier albums on occasions later in the tour. Their performance was accompanied by a visual representation of the story on background screens. The band also made it a point to play at indoor theater halls such as Radio City Music Hall. In 2017, Dream Theater went on another tour, titled Images, Words & Beyond, to commemorate the 25th anniversary of Images and Words. Each night they performed the album in its entirety, as well as "A Change of Seasons", which was originally written during the Images and Words sessions, and other selections from their catalogue. 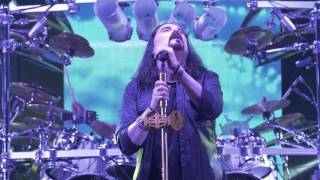 In a May 2017 interview with Rockbook, frontman James LaBrie talked about the style of the band's fourteenth studio album: "It's really important for us that the new album will be our best effort. It should be who we are at that particular moment. [...] But if along the way we feel that there is another album we should recognize once again, then we'll do it." In December 2017, Dream Theater announced that they have signed a worldwide longterm deal with Sony Music via Sony's progressive music label imprint Inside Out, for the release of the album. 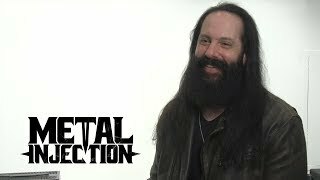 In an interview with Loudwire, Petrucci revealed that the album will not arrive before 2019. The band is planning to enter the studio in June 2018 with a release being slated for February 2019. The writing process started on June 11th, 2018, starting with live demos and everyone involved. 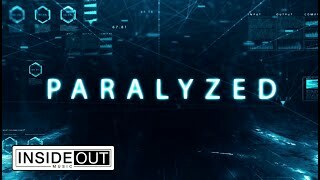 This is a different approach from the album cycle of The Astonishing and more akin to that of their self-titled album and the albums up until Awake. Throughout their career, Dream Theater's live shows have gradually become bigger, longer and more diverse. Prior to Portnoy's departure, Dream Theater "rotated" its set lists to ensure that fans who attended multiple shows in the same area would not see too many (or any) songs repeated. Portnoy, who constructed the set lists, would take into account the set list from the last time the band was in a particular city for the benefit of fans who saw the band on successive tours. Rudess and Petrucci dueling in Buenos Aires, Argentina (2008). Some of Dream Theater's more notable touring partners included Porcupine Tree, Symphony X, Between the Buried and Me, Deep Purple, Emerson, Lake & Palmer, Iron Maiden, the Dixie Dregs, Joe Satriani, King's X, Marillion, Megadeth, Trivium, In Flames, Pain of Salvation, Opeth, Queensrche, Riverside, Spock's Beard, Fear Factory, Enchant, 3, Yes and Zappa Plays Zappa. In 2005, Dream Theater toured North America with the Gigantour festival, co-headlining with Megadeth, and have played with Megadeth and Iron Maiden physically on stage. "Twinkle, Twinkle, Little Star", live at Nagoya, Japan. Perhaps the best example of Dream Theater's unpredictable concert structure came during Derek Sherinian's time with the band. At selected shows the band members all swapped instruments and performed an encore as the fictitious band dubbed Nightmare Cinema. They usually performed a cover of Deep Purple's "Perfect Strangers," and, on one occasion, Ozzy Osbourne's "Suicide Solution," At some shows, Sherinian, Petrucci and Portnoy would take the stage together under the name "Nicky Lemons and the Migraine Brothers." Sherinian, wearing a feather boa and novelty sunglasses, would perform a pop-punk song entitled "I Don't Like You" with Petrucci and Portnoy backing. 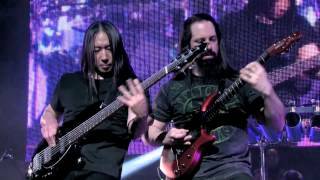 In Chaos in Motion tour, in several concerts before "Trial of Tears," Portnoy and Petrucci would change positions. Concert of the A Dramatic Tour of Events in 2012. LaBrie in the foreground; Myung and Rudess in the background. Dream Theater played and recorded a live performance at the Nippon Budokan Hall on April 26, 2004. It was later released as Live at Budokan on October 5, 2004. In 2007, after their show in Salt Lake City on July 30, Governor Jon Huntsman, Jr. signed a proclamation officially marking July 30, 2007 as Dream Theater Day in the state of Utah. In 2008 Dream Theater started the Progressive Nation 2008 tour, along with Opeth, Between the Buried and Me, and 3. The tour is the brainchild of Mike Portnoy, who stated, "I've been wanting to assemble a package tour like this for many years now. With all of the festivals and package tours that go through America, I've been talking with our manager and agent for over 10 years now about doing something that focuses on the more progressive, musician-oriented side of hard rock and metal. I decided it was time to stop talking the talk, lace up and finally walk the walk." On February 13, 2009, Dream Theater announced the official line up for their Progressive Nation 2009 tour. The tour was originally set to feature bands including Swedish bands Beardfish and Pain of Salvation, as well as Zappa plays Zappa. On June 22, 2009, Mike Portnoy announced that Pain of Salvation and Beardfish would not be touring the North American leg of the Progressive Nation 2009 tour because of record label complications. In the same announcement, Portnoy stated that the bands Scale the Summit and Bigelf would replace Pain of Salvation and Beardfish on the tour. This lineup change has put Bigelf on both the North American and European legs of the Progressive Nation 2009 tour. The tour's North American leg ran throughout July and August 2009. On March 26, 2009 it was announced that Dream Theater would take the Progressive Nation tour to Europe for the first time alongside Opeth, Bigelf and Unexpect. The tour ran throughout September and October 2009. In June/July 2010 Dream Theater were the opening band for Iron Maiden during the first leg of their Final Frontier Tour which included Madison Square Garden as one of the many venues. On December 7, 2010, Dream Theater announced on their website that they would be headlining the High Voltage Festival alongside Judas Priest in 2011. In July 2011 they started A Dramatic Tour of Events to promote A Dramatic Turn of Events. In January 2014, they started the Along for the Ride Tour to promote their self-titled album. On December 13, 2016, Dream Theater confirmed 5 UK tour dates for their Images, Words & Beyond 25th Anniversary Tour, starting in Birmingham on April 18, 2017. Dream Theater have covered other artists' work throughout their career. They have performed cover songs live and in studio, with many of those live performances being recorded for official release. A Change of Seasons features Elton John, Deep Purple, Led Zeppelin, Pink Floyd, Kansas, Queen, Journey, Dixie Dregs and Genesis live covers. Through YtseJam Records, the band have also released full album live cover performances of Metallica's Master of Puppets, Iron Maiden's The Number of the Beast, Pink Floyd's The Dark Side of the Moon, and Deep Purple's Made in Japan. The special edition of Black Clouds & Silver Linings includes a bonus disc with Rainbow, Queen, Dixie Dregs, Zebra, King Crimson, and Iron Maiden covers. Other notable artists covered by Dream Theater include Black Sabbath, Ozzy Osbourne, Pantera, Rush, the Who, and Yes. Despite the band's being forced to change their name, Dream Theater adopted a custom logo (known as the Majesty symbol) and wordmark which has appeared on the vast majority of their promotional material and on the front cover of every Dream Theater studio album. The Majesty symbol is derived from Mary, Queen of Scots' mark, which was re-worked by Charlie Dominici for use on the album artwork for When Dream and Day Unite. In September 2010, a fan of Dream Theater discovered that all of the letters of "DOMINICI" fit together perfectly into the Majesty symbol. When Charlie discovered this, he laughed and mentioned that "it only took them 25 years to figure out the 'Dominici Code!'" This has earlier also been discovered as shown on the comment section of DTFAQ and in the DTNorway Podcast Episode 2 from 2008, with Charlie Dominici. AllMusic's Stephen Thomas Erlewine described Dream Theater's music as a "dense blend of progressive rock and post-Halen metal". 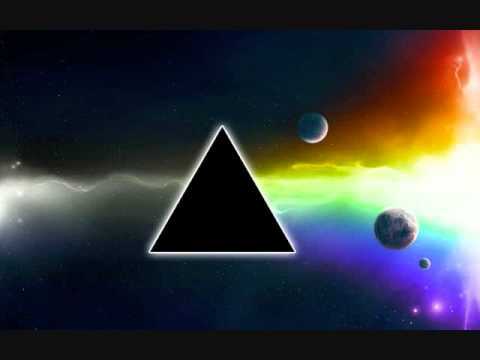 The band is well noted for being one of the early progenitors of the progressive metal genre. The original members, Mike Portnoy, John Petrucci and John Myung, have strong influences from progressive rock bands such as Rush, Yes, and Pink Floyd, heavy metal bands such as Iron Maiden and Judas Priest, various speed metal bands, and even the glam metal of the day. This synthesis created a unique metal that was not traditional of the day: it had distorted guitars and fast riffing, but the music focused more on technical proficiency and precise execution than on heavy metal riffs. The band's music has focused on three main elements: metal, melody, and progressive roots. Mike Portnoy has also stated that the band's slower songs are in appreciation of artists such as Peter Gabriel, U2, and Journey. Dream Theater's music also borrows elements from the 1970s and '80s art rock sound of musicians such as Kate Bush, Peter Gabriel, Electric Light Orchestra, the Moody Blues, and Procol Harum. Dream Theater's more recent albums such as A Dramatic Turn of Events and Dream Theater lean heavily towards hard rock, while still maintaining their trademark progressive rock and metal sound, whereas their 2003 album Train of Thought showcased a darker, heavier, sometimes more straightforward metal sound, and much of their progressive rock sound was absent, replaced by metal elements such as riffing and shredding. This decision was inspired by the positive feedback received from their previous heavier songs on stage. 1999's Metropolis Pt. 2: Scenes from a Memory was praised for its display of old-fashioned progressive rock, and was influenced by classic conceptual rock records such as the Beatles' Sgt Pepper's Lonely Hearts Club Band, Pink Floyd's The Wall and The Final Cut, the Who's Tommy, and Genesis's The Lamb Lies Down on Broadway. Dream Theater's music occasionally borrows elements of other musical styles including symphonic rock, symphonic metal, , soft rock, and classical music. In the wake of Charlie Dominici's departure from the band in October/November 1989 the band worked with several singers on a temporary basis before fully committing to James LaBrie; they first worked with John Arch, though he wasn't seriously considering joining the band, then John Hendricks, then Steve Stone(Who had a one-off live appearance with the band), then finally Chris Cintron, who they were ready to commit to and officially welcome into the band before James LaBrie's audition arrived. During the 1997-1998 world tour, the band would switch their instruments around for brief "Nightmare Cinema" interludes in the concerts; John Myung played the keyboard, Derek Sherinian played the guitar, John Petrucci played the drums, and Mike Portnoy played the bass. They would often cover Perfect Strangers during these segments. In 2004, Charlie Dominici and Derek Sherinian joined the band as a one-off on stage during the encore of the March 6th show as guests, to celebrate the 15th anniversary of the When Dream And Day Unite album. Dream Theater have released a series of official bootlegs, demos and other rarities through YtseJam Records, headed by Portnoy. In 2007 Jordan Rudess was awarded "Best Keyboards Player of the Year." A Dramatic Turn of Events won Best Album and Best Front Cover in 2011. The album Metropolis Pt. 2: Scenes from a Memory was ranked No. 95 on the magazine's list of the 100 Greatest Guitar Albums of All Time. In 2009, Dream Theater were placed on the Top 10 in Ultimate Guitar's The Greatest Metal Bands of the Decade. Dream Theater won The Spirit of Prog Award at the Classic Rock Roll of Honour 2009 in London. They were also nominated for the Album of the Year Award for their album, Black Clouds & Silver Linings in 2009, but lost to AC/DC's Black Ice. On July 25, 2011, Dream Theater were placed on the list "The Best Prog Rock Bands of All Time", chosen by the Rolling Stone Magazine's readers poll. The MusicRadar readers poll placed Dream Theater amongst "The 30 greatest live acts in the world today" (as of 2010). They peaked No. 5 on the list, placed over artists like Metallica, Muse, U2 and Coldplay. John Myung, from August through September 2010, was voted the greatest bassist of all time. In the same time frame, Mike Portnoy was voted the second best drummer ever, losing out to Joey Jordison. In December 2010, James LaBrie was voted the 15th best frontman of all time (with Axl Rose coming first and Freddie Mercury in second). Jordan Rudess was voted the best keyboardist of all time in a poll conducted from June to July this year, with John Petrucci coming second in a shred-guitarist poll conducted in May this year (losing out to Al Di Meola). Derek Sherinian was voted "Best Keyboardist" in Metal Edge magazine's 1998 Readers' Choice Awards. The webzine Metal Storm honored Dream Theater with an award in 2009, when Black Clouds & Silver Linings was voted Best Progressive Metal Album. On July 13, 2015, The Prog Report ranked Images and Words at #1 on their "Top Prog Albums of the Last 25 Years". Four other Dream Theater albums made the list; Scenes from a Memory placed at #3, Six Degrees of Inner Turbulence at #14, Awake at #18, and Train of Thought at #38. At Dream Theater's Salt Lake City show, Governor Jon Huntsman, Jr. signed a proclamation making July 30, 2007, "Dream Theater Day". Dream Theater were featured twice in the Xbox 360 Game With Fame event. They played Halo 3 in December 2007 and Call of Duty: World at War in June 2009. In November 2010, Dream Theater was inducted into the Long Island Music Hall of Fame. 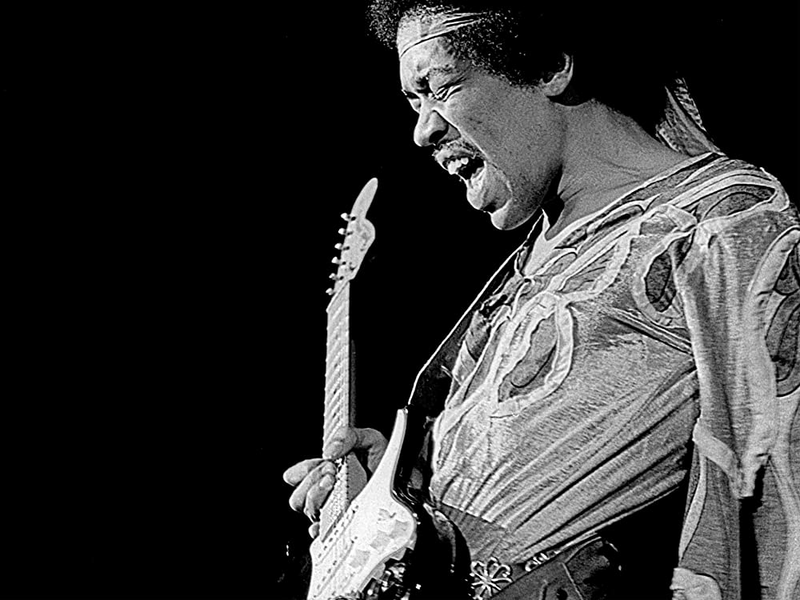 ^ "Top Shredders of All Time". RandyCiak.com. Retrieved 2008. ^ "The 27 greatest keyboard players of all time". musicradar.com. Retrieved 2011. ^ "World's Fastest Drummer". Archived from the original on December 2, 2010. Retrieved 2011. ^ "Dream Theater's John Myung: "Being Inducted Is Like Passing An Important Mile Marker In Our Career..."". Roadrunnerrecords.com. November 17, 2010. Archived from the original on March 18, 2011. Retrieved 2011. ^ a b Billboard Chart history for Dream Theater can be seen at Billboard.com. ^ "Guitar World's (Readers Choice) Greatest 100 Guitar Albums Of All Time". chud.com. Retrieved 2012. ^ "Classic Rock Magazine - Rock's 30 Greatest Concept Albums (March 2003)". rocklistmusic.co.uk. Retrieved 2012. ^ a b "Dream Theater, Megadeth, Mastodon Among Grammy Awards Nominees". Blabbermouth.net. November 30, 2011. Archived from the original on December 3, 2011. Retrieved 2011. ^ "Dream Theater Earn Second Grammy Nomination - Dream Theater - The Astonishing Out 1.29 | Official Site Official Blog". Dreamtheater.net. December 7, 2013. Archived from the original on February 6, 2016. Retrieved 2016. ^ "Dream Theater's 'Images and Words' Wins March Metal Madness 2013". Loudwire.com. April 9, 2013. Retrieved 2014. ^ "JOHN PETRUCCI". TC Electronic. Archived from the original on June 30, 2017. ^ a b c d e This was referenced in the documentary "The Score so Far", on the second disc of the Score DVD. ^ Portnoy, Mike (2003). "The Majesty Demos 1985-1986" [CD Liner Notes]. New York: Ytsejam Records. ^ "The Dream Theater FAQ - Graphic Version". Gabbo.net. Retrieved 2009. ^ "Mike Portnoy - Resource: Fact or Fiction?". YouTube. April 1, 2015. Retrieved 2016. ^ Portnoy, Mike (2004). And Nathan Edmonds help produce "When Dream and Day Unite Demos" 1987-1989 [CD Liner Notes]. New York: YtseJam Records. ^ Dominici, Charlie. When Dream And Day Unite liner notes (2004 re-release). ^ a b c d "Mike Portnoy.com The Official Website". Mikeportnoy.com. Retrieved 2016. ^ "John Arch Interview by Jeff Wagner (1995)". Fateswarning.com. Retrieved 2012. ^ "Mike Portnoy.com The Official Website". Mikeportnoy.com. Retrieved 2016. ^ Colin Larkin (May 27, 2011). The Encyclopedia of Popular Music. Omnibus Press. pp. 2006-. ISBN 978-0-85712-595-8. ^ EastWest Records Press Release. ^ Nine Christmas CDs were released through Dream Theater's fan club before it was closed down in 2005. See DTIFC on Dream Theater.net. Archived January 2, 2009, at the Wayback Machine. ^ "Falling into Infinity Demos". Ytsejamrecords.com. Retrieved 2011. ^ Portnoy, Mike (1998). "Liquid Tension Experiment" [CD Liner Notes]. New York: Magna Carta Records. ^ a b c d "Gold & Platinum Searchable Database - August 09, 2014". RIAA. Retrieved 2014. ^ "Billboard Chart history for Dream Theater". ^ DreamTheater.net Archived July 25, 2011, at the Wayback Machine. reported that Six Degrees of Inner Turbulence had reached No. 1 on the Billboard Internet Charts. ^ Mike Portnoy (2007) "In Constant Motion" Instructional DVD, Train of Thought album analysis. ^ Moldstad, Frank. "New York's Hit Factory Gets a New Identity". Digital Pro Sound. ^ "Lifting Shadows - The Authorised Story Of Dream Theater". Dreamtheaterbook.com. Retrieved 2009. ^ "Gods of Metal official website". Godsofmetal.it. Archived from the original on July 19, 2011. Retrieved 2011. ^ "Opeth To Support Dream Theater In North America - Blabbermouth.net". Roadrunnerrecords.com. September 27, 2007. Archived from the original on April 10, 2009. Retrieved 2016. ^ "Dream Theater - Black Clouds & Silver Linings". Mikeportnoy.com. Retrieved 2011. ^ "Dream Theater debut's at 6 on Billboard Top 200, The Gauntlet". Thegauntlet.com. Retrieved 2011. ^ "Dream Theater's Mike Portnoy Pens Tribute To Late Father". Metalhammer.co.uk. May 1, 2009. Archived from the original on June 29, 2011. Retrieved 2011. ^ Portnoy, Mike. "MP's Forecast for 2010". mikeportnoy.com. ^ Bredius, Mark (June 14, 2011). "tour dates for Australia, December 1-12, 2009". Dreamtheater.net. Archived from the original on July 16, 2011. Retrieved 2011. ^ "Dream Theater to tour with Iron Maiden this summer 2010". Road Runner Records. Archived from the original on March 12, 2011. Retrieved 2011. ^ Portnoy, Mike. "Mike Portnoy leaves Dream Theater". Facebook. Retrieved 2012. ^ Bosso, Joe. "Interview: Dream Theater's John Petrucci, Jordan Rudess on the band's future". MusicRadar. Retrieved 2012. ^ "Mike Portnoy: 'It Would Be A Tragedy If I Never Got To Be On Stage With Dream Theater Again'". Retrieved 2012. ^ "Mike Portnoy: Dream Theater Members Are Refusing To Answer My E-Mails And Calls - Feb. 25, 2011". Blabbermouth. Retrieved 2012. ^ Harris, Chris. "Mike Portnoy Fires Back At James LaBrie". Gun Shy Assassin. Archived from the original on March 13, 2012. Retrieved 2012. ^ Harris, Chris. "Dream Theater's James LaBrie Talks Mike Portnoy". Gun Shy Assassin. Archived from the original on June 7, 2012. Retrieved 2012. ^ "Updated: Mike Portnoy Threatened Legal Action Against Former Dream Theater Bandmates - Sep. 19, 2011". Blabbermouth. Retrieved 2012. ^ Hartmann, Graham. "Drummer Mike Portnoy on Rejoining Dream Theater: 'I Would Do It in a Heartbeat'". Retrieved 2014. ^ "Dream Theater: 'The Spirit Carries On' Drummer-Search Web Series To Be Released On DVD - Apr. 28, 2011". Blabbermouth. Retrieved 2012. ^ Wildoer, Peter. "Re: An Exclusive Look into The Band's Search for a New Drummer". Dream Theater Forums. Retrieved 2012. ^ "Dream Theater - The Spirit Carries On Episode 3". YouTube. Retrieved 2012. ^ "Dream Theater Explain Why Mike Portnoy Can't Rejoin | Music News @". Ultimate-guitar.com. Retrieved 2014. ^ Petrucci, John. "First day in the studio and the dawn of a new era for DT. Can't wait to get the music flowing". Twitter. Retrieved 2012. ^ Wenner, Rick. "Dream Theater @ Cove City Studios". Rick Wenner Official Website. Archived from the original on July 24, 2012. Retrieved 2012. ^ Petrucci, John. "So psyched...we finished writing the DT album last night! On to tracking..." Twitter. Retrieved 2012. ^ LaBrie, James. "Hey Everyone, Finished the first track yesterday. It oozes with emotion. Movin on to the next. Raaaaaaaaaawk". Twitter. Retrieved 2012. ^ a b Petrucci, John. "New DT album is all mixed and mastered as of today. First show of the tour in Rome in less than a week! Looking forward to seeing everyone". Twitter. Retrieved 2012. ^ "Dream Theater Taps Andy Wallace For New Album Mix - May 24, 2011". Blabbermouth. Archived from the original on August 23, 2011. Retrieved 2012. ^ "Dream Theater's 'A Dramatic Turn Of Events' Lands In U.S. Top 10 - Sep. 21, 2011". Blabbermouth. Retrieved 2012. ^ Caulfield, Keith. "Lady Antebellum 'Own' the Billboard 200 With Second No. 1 Album". Billboard. Retrieved 2012. ^ "Critic Reviews for A Dramatic Turn of Events". Metacritic. Retrieved 2012. ^ "Dream Theater announce more summer tour dates". Lick Library. Retrieved 2012. ^ "Dream Theater Announce UK Tour for February 2012, Periphery To Support". Rock Sins. Retrieved 2012. ^ "Dream Theater And Crimson ProjeKct To Tour Together This Summer". The PRP. Retrieved 2012. ^ "Dream Theater: Buenos Aires Concerts To Be Filmed For DVD Release - July 5, 2012". Blabbermouth. Retrieved 2012. ^ "A video update on the future of Ytsejam Records (Bootlegs) and a DVD". Facebook. Retrieved 2012. ^ "James Labrie (Of Dream Theater) Interview 06/24/2012 (preview)". YouTube. Retrieved 2012. ^ Dream Theater. "Live at Luna Park DVD Press Release". Dream Theater Official Blog. Archived from the original on May 1, 2014. Retrieved 2014. ^ Dream Theater. "Happy Holidays From Dream Theater". Dream Theater Official Blog. Archived from the original on May 2, 2014. Retrieved 2014. ^ Beardsley, Rai "Weymolith". "Happy Holidays From Dream Theater! (6:00 On A Christmas Morning!)". DreamTheaterForums.org. Retrieved 2014. ^ "The Dead (1987)". Internet Movie DataBase (IMDB). Retrieved 2014. ^ Petrucci, John. "Writing for the next DT album officially commenced while in Osaka the other day. Jet lag seems to open up one's creative channels". Facebook. Retrieved 2012. ^ Grubbs, Eric. "Dream Theater's John Petrucci On Obsessing Over Rush, Playing "Mary Had a Little Lamb" and More". Dallas Observer. Retrieved 2012. ^ "Dream Theater re-signs with Roadrunner Records". Dream Theater. Archived from the original on December 7, 2012. Retrieved 2012. ^ "Dream Theater's New Album Cracks U.S. Top 10". Blabbermouth.net. October 2, 2013. Retrieved 2016. ^ "Dream Theater Unveils Career-Spanning Box Set: 'The Studio Albums 1992-2011'". Blabbermouth. May 16, 2014. Retrieved 2014. ^ Bredius, Mark (January 13, 2014). "One-of-a-kind show with Berklee College of Music! - Dream Theater Official Blog". Dreamtheater.net. Archived from the original on August 5, 2014. Retrieved 2014. ^ "Dream Theater Concert Setlist at Boston Opera House, Boston on March 25, 2014". setlist.fm. Retrieved 2014. ^ "The Astonishing". Dream Theater. Archived from the original on January 29, 2016. Retrieved 2016. ^ Graff, Gary (January 6, 2014). "Dream Theater Planting Seeds for Album No. 13". Billboard. Retrieved 2016. ^ "James Labrie: Dream Theater Will Launch Its Next World Tour In Early 2016". Blabbermouth.net. January 11, 2015. Retrieved 2016. ^ "Dream Theater's James LaBrie coming home to Midland". Simcoe.com. January 7, 2015. Retrieved 2016. ^ "Track Description". dreamtheater.net. Archived from the original on January 31, 2016. Retrieved 2016. ^ Kennelty, Greg (May 31, 2017). "Dream Theater Wants To Put Out A Non-Conceptual Album In 2018". Metal Injection. Retrieved 2017. ^ "Sony Music Signs Dream Theater to a Long-Term Deal via its InsideOutMusic Imprint - Dream Theater". Dream Theater. December 11, 2017. Retrieved 2017. ^ Childers, Chad (November 8, 2017). "John Petrucci: Next Dream Theater Album Won't Arrive Until 2019". Loudwire. Retrieved 2017. ^ "Dream Theater to Begin Work on New Album in June; February 2019 Release Expected". Blabbermouth.net. April 5, 2018. Retrieved 2018. ^ "Earplugs Required". Earplugs Required. Retrieved 2016. ^ Hansen, Scott & Portnoy, Mike. "What's this I hear about Mike being really sick after the Roseland (DVD) show? What happened? Archived April 19, 2015, at the Wayback Machine.". MP FAQ Archived April 19, 2015, at the Wayback Machine..
^ "Concert Review: Dream Theater's Epic, Near-Jinxed India Debut". ^ "Octavarium animation". Clevver.com. Archived from the original on March 17, 2011. Retrieved 2011. ^ NADS Animation By: Mika Tyyska Archived May 26, 2015, at the Wayback Machine. ^ "Dream Theater - Live at Budokan - Reviews - Encyclopaedia Metallum". The Metal Archives. Retrieved 2016. ^ "News". Voices UK. Retrieved 2016. ^ "Progressive Nation 2008 - Press Release". dreamtheater.net. Dream Theater. November 5, 2007. Archived from the original on May 10, 2008. Retrieved 2008. ^ Bredius, Mark. "Progressive Nation 2009 North American Tour - Lineup Change". Dreamtheater.net. Archived from the original on July 16, 2011. Retrieved 2011. ^ Bredius, Mark (June 14, 2011). "Progressive Nation Tour Dates". Dreamtheater.net. Archived from the original on July 16, 2011. Retrieved 2011. ^ "Archived copy". Archived from the original on December 21, 2016. Retrieved 2016. ^ "Covers Series". YtseJam Records. Retrieved 2012. ^ "Covers Series: Uncovered 2003-2005". YtseJam Records. Retrieved 2012. ^ "Dream Theater covers Rush's The Camera Eye at Toronto show". Rush Is a Band. Retrieved 2012. 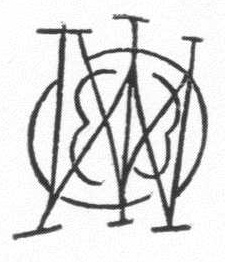 ^ The mark used by Mary, Queen of Scots, is available on DreamTheater.net. Archived July 25, 2011, at the Wayback Machine. 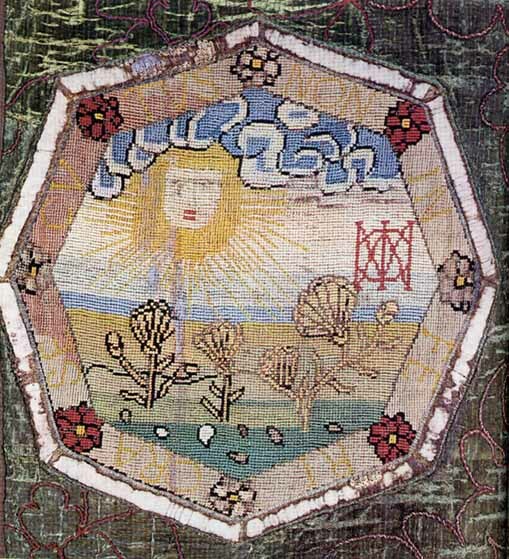 ^ "An embroidery showing the Mary, Queen of Scots, symbol in use". Retrieved 2011. ^ a b "What is the 'symbol' DT use?". faq.dtnorway.com. November 7, 2003. Retrieved 2016. ^ "What does Dream Theater, Majesty and Dominici have in common?". YouTube. September 13, 2010. Retrieved 2010. ^ "Someone finally figured out the "Dominici Code!"". DOMINICI.com Forum. September 28, 2010. Retrieved 2010. ^ "Echo's Hill Podcast". DTNorway. Retrieved 2011. ^ "Progressive Metal". AllMusic. Retrieved 2010. ^ York, Will. "Dream Theater". Rhapsody. Retrieved 2010. ^ Portnoy, Mike. "Dream Theater - Interview - part 1". TheCrookedStep.com. Retrieved 2010. ^ Greatest Hit (...And 21 Other Pretty Cool Songs) booklet liner notes. ^ Britannica Educational Publishing. Disco, Punk, New Wave, Heavy Metal, and More: Music in the 1970s and 1980s. Dream Theater also explored a number of stylistic features earlier associated with art rock. ^ Jurek, Thom (September 13, 2011). 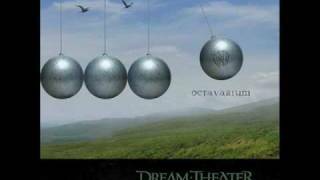 "A Dramatic Turn of Events - Dream Theater | Songs, Reviews, Credits, Awards". AllMusic. Retrieved 2014. ^ Jurek, Thom (September 23, 2013). "Dream Theater - Dream Theater | Songs, Reviews, Credits, Awards". AllMusic. Retrieved 2014. ^ Jurek, Thom (November 14, 2003). 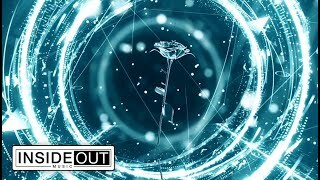 "Train of Thought - Dream Theater | Songs, Reviews, Credits, Awards". AllMusic. Retrieved 2014. ^ Stephen Thomas Erlewine (October 26, 1999). "Metropolis, Pt. 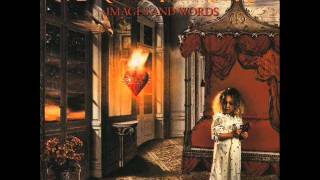 2: Scenes from a Memory - Dream Theater | Songs, Reviews, Credits, Awards". AllMusic. Retrieved 2014. ^ "Dream Theater - Making of Scenes From A Memory". YouTube. August 25, 2006. Retrieved 2014. ^ Lewis, Catherine P. "Dream Theater album review". The Washington Post. Retrieved 2014. ^ "John Petrucci Of Dream Theater Interview". Ultimateclassicrock.com. October 26, 2013. Retrieved 2014. ^ a b Portnoy, Mike. "MikePortnoy.com FAQ: "How did the idea of Mike and John Petrucci singing backup come about?"". MikePortnoy.com The Official Website. Retrieved 2018. ^ Portnoy, Mike. "MikePortnoy.com FAQ: "When was Derek made an official member of Dream Theater?"". MikePortnoy.com The Official Website. Retrieved 2018. ^ Portnoy, Mike. "MikePortnoy.com Tourography: 10/20/1994 - Providence, Rhode Island". MikePortnoy.com The Official Website. Retrieved 2018. ^ "Dream Theater - 20th Anniversary Documentary". YouTube. Rhino Entertainment. Retrieved 2018. ^ Portnoy, Mike. "MikePortnoy.com Tourography: 10/14/1989 - Bay Shore, Long Island". MikePortnoy.com The Official Website. Retrieved 2018. ^ Portnoy, Mike. "MikePortnoy.com Tourography: 11/14/1989 - New York City, USA". MikePortnoy.com The Official Website. Retrieved 2018. ^ Portnoy, Mike. "MikePortnoy.com Tourography: 07/09/1990 - Bay Shore, Long Island". MikePortnoy.com The Official Website. Retrieved 2018. ^ Portnoy, Mike. "MikePortnoy.com FAQ: "Which vocalists worked with Dream Theater between the time that Charlie was in the band and James joined the band, and in what order?"". MikePortnoy.com The Official Website. Retrieved 2018. ^ Portnoy, Mike. 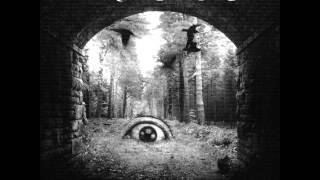 "MikePortnoy.com FAQ: "What Is Nightmare Cinema?"". MikePortnoy.com The Official Website. Retrieved 2018. ^ Portnoy, Mike. "MikePortnoy.com Tourography: 03/06/2004 Los Angeles, CA, USA". MikePortnoy.com The Official Website. Retrieved 2018. ^ "YtseJam Records - The Official Dream Theater Bootlegs". Ytsejamrecords.com. Retrieved 2009. ^ "listing of Dream Theater awards". Riaa.com. Retrieved 2011. ^ "Dream Theater's Metropolis Pt. 2: Scenes from a Memory ranks No. 95 on Guitar World's 100 greatest guitar albums of all time". Rateyourmusic.com. Retrieved 2011. ^ "Ultimate Guitar's Best Metal Bands of the Decade!". 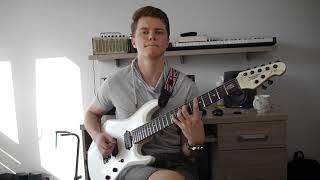 ultimate-guitar.com. Archived from the original on July 17, 2011. ^ " ArtisanNewsService". YouTube. Retrieved 2011. ^ "Dream Theater won The Spirit of Prog Award at Classic Rock Roll of Honour 2009!". Classicrockmagazine.com. Archived from the original on September 23, 2010. Retrieved 2011. 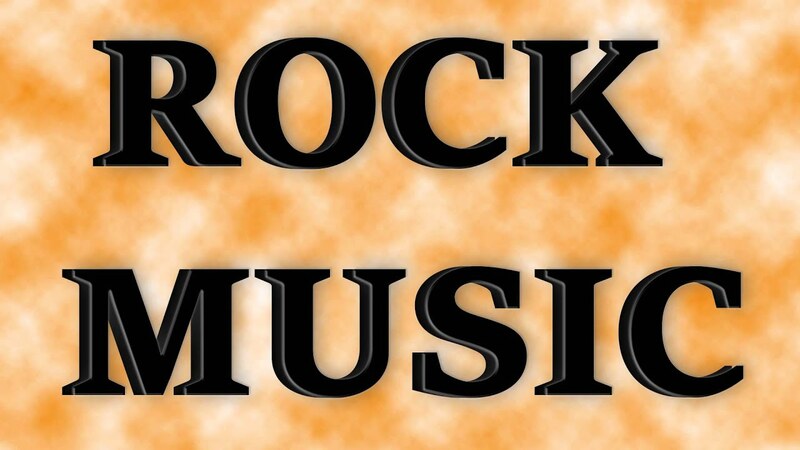 ^ "Classic Rock Blog Archive Classic Rock Roll Of Honour '09 Nominations!". Classicrockmagazine.com. June 26, 2009. Archived from the original on January 8, 2010. Retrieved 2011. ^ Greene, Andy. "Readers Poll: The Best Prog Rock Bands of All Time". Rolling Stone. Archived from the original on August 5, 2011. Retrieved 2011. ^ "The 30 greatest live acts in the world today". MusicRadar.com. June 16, 2011. Archived from the original on September 21, 2012. Retrieved 2011. ^ "Top 50 Prog Albums 1990-2015". The Prog Report. July 13, 2015. Retrieved 2016. ^ "Utah Governor Declares Dream Theater Day - July 31, 2007". Blabbermouth.net. Archived from the original on October 4, 2010. Retrieved 2010. ^ "Xbox.com - Game with Fame - Game with Fame: Dream Theater Recap". Archived from the original on October 15, 2008. ^ "Xbox.com - Events - Play Call of Duty: World at War with Dream Theater". Archived from the original on June 19, 2009. Hale, Mark (1993). "1731 Majesty". Headbangers (First edition, second printing ed.). Ann Arbor, Michigan: Popular Culture, Ink. ISBN 1-56075-029-4. Hansen, Scott. (2003). "James LaBrie: As this man thinks". Theater of Dreams 27/28, pp. 26-30. King, Brian. (2003). "JaM Progductions! Interview with John Petrucci and Mike Portnoy". Theater of Dreams 29, pp. 14-20. Wilson, Rich (2007). Lifting Shadows (First ed.). United Kingdom: Essential Works. ISBN 9781906615024. 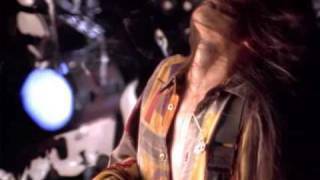 Dream Theater - "Pull Me Under"